Marstrade is one of the prominent Suppliers of Fiberglass Reinforcement Plastics Doors. We specialize in catering a variety of stunning, yet utilitarian FRP Plain Doors in multiple colors, patterns and designs. Today, FRP Plain Doors have been rapidly gaining popularity across nation; thus we have been supplying high quality FRP Doors nationwide. 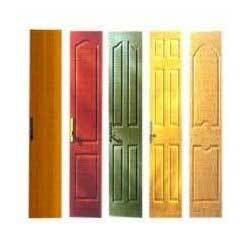 Our FRP Doors are the identity of modern houses as well as offices. In a bid to fix the handles, locks, stoppers and other accessories, we also cater needed wooden supports.